A mixed bag of baking book reviews on my pile this month; some are inspirational and essential, one is going straight back to Amazon. Can you guess which? Food on sticks never fails to capture interest, never more so than when it’s as pretty as cake pops from the Popcake Kitchen. Helen and Abby launched the first cake pop company in the UK and now supply corporate functions, weddings and birthday parties with their creations. Whilst I’m not convinced of the gastronomic appeal of cake pops, creatively they’re a lot of fun to play with and are a sure fire way to get your guests talking. 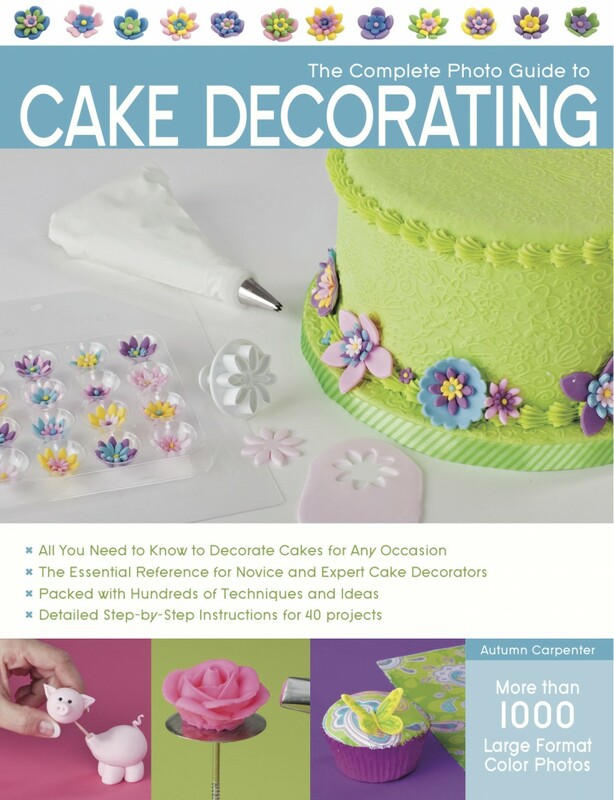 Whilst not the first cake pop book to sell in the UK, it’s a far easier format to work with than Angie Dudley’s more famous book of the same name. Instructions here are more comprehensive and projects utilise ingredients widely available in the UK. Stand out projects are dinky slices of iced chocolate cakes on sticks, teapots and teacups and rubber ducks. 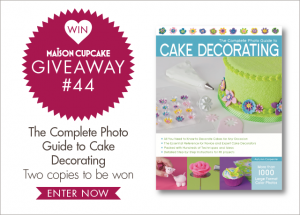 I am currently giving away two copies of The Complete Photo Guide to Cake Decorating. You have until April 28th to enter here. 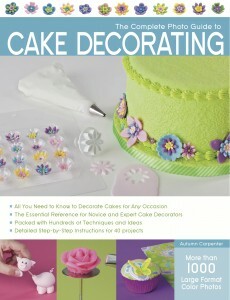 The third in the “dress your” cake decorating series by Joanna Farrow and it’s the cookie’s turn for a makeover. 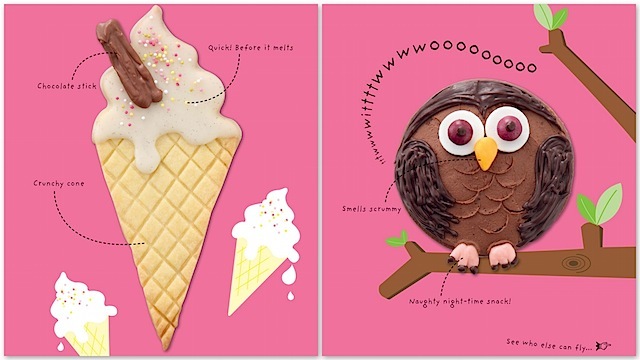 Like others in the series, the presentation is quite whimsical and cartoonish and would be of massive appeal to children over 8 with 50 iced biscuit projects by theme. I like the contents of this book much more than “Dress Your Cupcake” and am lined up to experiment with my own versions of the popcorn box cookies and gingerbread cottages. Some such as pirate faces and owls (pictured above right) would be easy to do with children. Others such as flamingos and circus elephants are more sophisticated whilst still inspiring the sugarcraft novice with “can do” rather than fear. Templates for fiddly shapes are provided but an equal number can be made with standard circular, heart or star cookie cutters. A fun book full of easily achievable creative ideas. This is tough but I’m going to say it. Let’s get one thing straight up front – I am judging this book with the fresh eyes of someone who is not hugely familiar with Joy The Baker the blog. I pre-ordered this book after hearing about it on Twitter and knowing Joy was a prominent US baking blogger with a massive following and I thought this would be an inspiring innovative book. Writing a book of this size is a huge undertaking, never mind taking your own photos for it as well, Joy has every reason to be proud of this achievement and I have every respect for her doing it. Sadly though, what looks bright and chirpy on the computer monitor doesn’t translate well on the printed page. This material may have made it into a book but I doubt many magazine editors would print it on visual appeal alone. Too many pictures have clumsy composition and uninteresting styling for me to eat with my eyes first; print quality and colour reproduction is poor with a most noticeable contrast to the vivacious portraits taken of Joy herself. There are repeated missed opportunities to present recipes that should have been picture perfect. 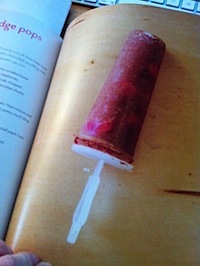 A fairly typical example, chocolate raspberry fudge pop on page 159 (shown below) has the allure of a frozen medical sample on a stick plonked on a laboratory workbench. You can get away with this in a single blog post but potential new readers buying the book ought to get better. Considering Joy’s chatty style is one of the main attractions to her readers, the preambles to recipes are short. There are some nice ideas inside but anything memorable loses impact due to lacklustre pictures. This book has received many 5 star reviews on Amazon but I’m struggling to see why. I hope when Joy writes another book (as she clearly has the loving audience to do) she has better support from her publisher to provide a photographer and stylist. In the meantime I am promptly returning my copy of this one to Amazon for a refund. Oddly one of the books here with the fewest recipes is one of the more expensive. It says something we’ll pay as much for blank pages as printed work. My Baking Journal features a selection of 40 classic baking recipes but the emphasis is on the owner building up their own collection of their favourites within its pages. The ratio of space is around one third recipes and two thirds notebook pages designed in a similar style to Moleskine recipe journal. With a folder section at the back for magazine clippings this would make an attractive gift for a female relative although I fear it’s too pretty to write in! 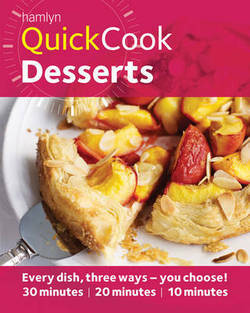 Well, no more excuses for me to grab a foursome of pots of mousse or creme caramel from the supermarket, once my son realises the vast array of rapid desserts available in under 30 minutes from this book, I’m never going to get away with that again. With a remarkable 360 recipes inside, the layout of 3 recipes on a page is a little confusing and not always the easiest to refer to. However you can see at a glance which recipes are 10, 20 or 30 minutes and there are high quality photos of the main dish on each page. Many of the 10 minute recipes are as you’d expect, little more than serving suggestions nonetheless I intend to jot down a list of my favourite for the fridge door and rely on these now instead of boring old Petit Filous as well as try the more complex dishes including brioche tart, raspberry mille feuille and banana sticky toffee tarte tatin. With thanks to Octopus and Jacqui Small for the review copies of numbers 1, 2, 3, 5 and 6. Thanks for sharing your views on these books – I’m now tempted to spend even more money at Amazon! I know it is tough when you feel that you want to give a negative review to something, and I saw the backlash one poor US reviewer had on Amazon.com for ‘only’ giving one widely supported book three stars, but I just wanted to say that in reading your blog, I have always admired your own breadth of knowledge and experience and I think you have brought that to bear, and given a balanced, fair review with constructive criticism. Meanwhile, I’m off to browse some of these tempting tomes! Thank you very much. I have agonised about submitting this to Amazon but suspect there are too many sad trolls out there and I really don’t need the hassle! Did you try any of the recipes from Joy’s book before returning it? I’d be interested to know if the recipes were good as I had considered buying it. I’ve got quite a few books lately where there are too many photos of the author and not enough of the food! I find it annoying. Call me shallow, but you know the way the book looked just totally put me off. I have a heap of better looking books I’m keen to make stuff in and nothing really leapt out at me to make. I am curious to know what the coffee bacon comes out like though – just wish it looked less like road kill in the photo. I know what you about other books with too many author pics, they look dead phoney don’t they. I can see what you mean. 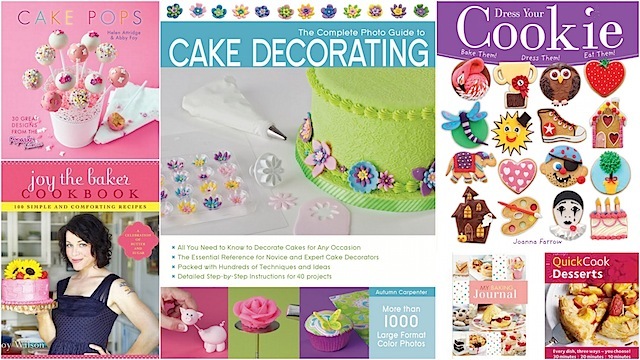 There are oodles of baking books out there to chose from. Too many photos of the author doing too many “foodie” things looks a bit cheesy I think. A very interesting post Sarah. I very much like the look of Dress your Cookie, which I think would be so much fun for children. Really interested to read your review of Joy’s book. I absolutely love her and her blog, but when the book arrived in the post I felt really flat – the photos just aren’t that beautiful and although some of the recipes are delicious, none of it really leaps off the page at me. Such a shame as she is such a wonderful, inspirational baker. Relieved to hear it’s not just me who thought this then! Hopefully next time a different publisher can do her content justice. Sarah you have put me to shame, and there is a wobbling pile of baking books on my desk now to be reviewed. It is sad that you cannot review Joy on Amazon. These onine witch hunts are just vile. Good round up. It’s always difficult giving a bad review, but also necessary. It’s not much use to anyone if people only say nice things which they don’t really mean. Thanks – there’s always a steady stream of baking books and paraphrenalia coming through here to write about!